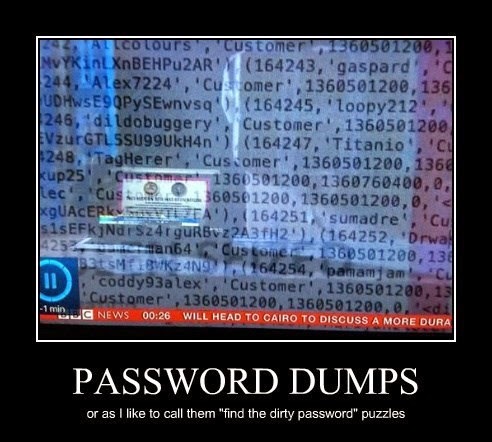 Security Memetics: Can You Find The Dirty Password? Thanks to Matt King for tweeting the original photo. I have a feeling that at least some security researchers who look into password database breaches derive some puerile pleasure in finding things like this. I wonder if we all chose naughty passwords, would it make it more difficult for them to do presentations at security conferences?